Noël Coward’s irresistible play Blithe Spirit returns to the West End accompanied by a fanfare of trumpets and Dame Angela Lansbury in her first London stage appearance in nearly 40 years. But in some ways Lansbury’s presence is a distraction that overshadows the supremely gifted actors on whom much of the action hangs. Written in five days in 1941 whilst on holiday in Portmeirion after his London flat was bombed, Coward said on its completion: “I knew it was witty, I knew it was well constructed, and I also knew that it would be a success”. Married to second wife, the straight-laced, reliable Ruth (Janie Dee), and seeking some background for a new novel about a homicidal medium, author Charles Condimine (Charles Edwards) decides to hold a séance with local spiritualist Madame Arcati (Lansbury). But when the dotty medium summons the spirit of Charles’ first wife, the effervescent (and unfaithful) Elvira, marital discord ensues as Charles begins to question the quiet life he’s come to embrace. While accusations of misogyny have been levelled at the play in modern times, it ploughs a familiar furrow for Coward, a subject explored in different ways in his works Private Lives, Hay Fever and Design for Living, that of his belief in the impossibility of monogamy. It must be said though that Coward does allows his female characters to be as naughty as his males. 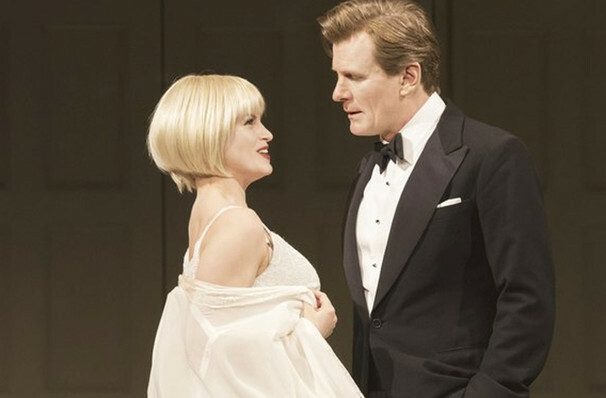 Sparkling with Coward’s wonderful, witty dialogue the whole production is a thing of beauty and a joy to behold. It has its flaws, it takes a little while to warm up and there’s a little lull in the second act, but any flaws are easily forgiven. For most, it is Lansbury that is the draw and it’s undoubtedly a belter of a role for any actress to get her teeth into, and happily she doesn’t disappoint. Delightfully dotty, she totters around the stage with an energy that belies her years, conjuring mayhem with every step. To her credit Lansbury doesn’t play it solely for laughs, Madame Arcati truly believes she has a gift and the withering looks she aims at sceptical local doctor’s wife Mrs. Bradman thoroughly chill. It must be said though that there are little moments when she’s grasping for her line but she covers it well, and for an 88 year old it is a remarkable performance. 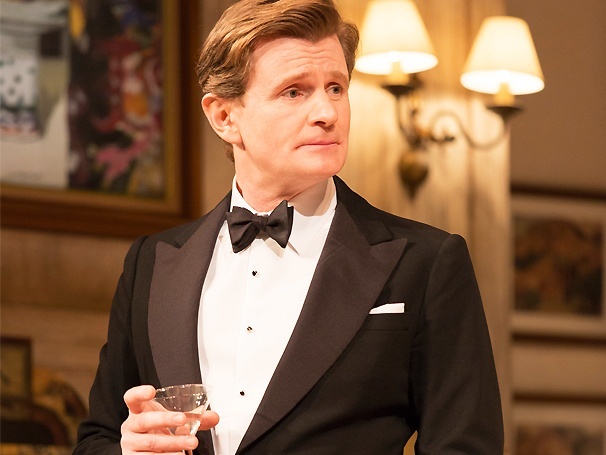 The stand-out star though, is Charles Edwards without doubt one of the UK’s finest actors. He careers from suave imperturbability to abject panic when Elvira threatens his cosy existence with consummate ease and his comic timing is masterful. Edwards is ably supported by a flirty Jemima Rooper as Elvira and the ever-watchable Janie Dee as Ruth. There’s also an amusing turn from Patsy Ferran as dippy maid Edith here in her professional debut. This is a classy affair throughout and well worth catching if you can and oh, so much more than just a vehicle for Britain’s latest theatrical Dame.